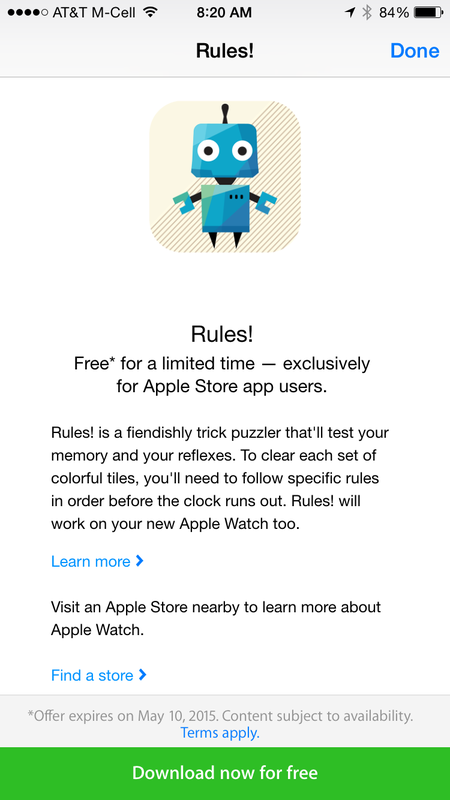 Rules!, the fast-paced puzzle-based game designed around multi-touch controls, is now available for free inside the Apple Store app for iPhone (US only). It was also recently updated with Apple Watch integration. This is the first time that we’ve seen this app available for free, it typically goes for $2.99. Be sure to head over to our daily roundups for more discounted iOS apps, console games and more. This week’s Free App of the Week courtesy of Apple is Twisty Hollow. iOS Apple Store Free App Rules!